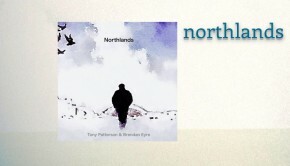 2014 was an impressive year turning in numerous fine albums, not least was the late November Northlands release from Tony Patterson & Brendan Eyre. The CD arrived in early December and from the very outset resonated with me, whether or not this was down to the tranquil and absorbing nature of the album and how it formed a perfect foil to the hustle and bustle of the impending festive season, I’m unsure. What I am sure of is that Northlands has been a close companion on many an evening since, forming the perfect end to the day. Being a North Eastener myself the background concept added to overall enjoyment and being able to relate to the surroundings of the album, superbly captured through the photographic work of Howie White, was an added bonus. Northbound serenely washes over the listener and although personally drawn to images of North East coastline, you could easily add your own personal backdrop to the music. The press surrounding the Northlands project makes note of the musical backgrounds of the two principal members and their present and previous musical output. Multi-instrumentalist Tony Patterson for his work with both Re-Genesis and So Gabriel, which I mention early on in this review as there is little of the aforementioned to be found on this release. Tony’s other work as a composer for film and television is however much more poignant. Keyboard man Brendan Eyre released an aptly titled instrumental album Ghost Ships (2005) and was of course the other half of Riversea who released the well received and extremely enjoyable Ancient Earth (2012). Although references to that album can be detected they are relatively fleeting. Predominately instrumental, Northlands is an evocative and above all, atmospheric album, and it is that peaceful ambient aura which so sets the music aside. A feature throughout is Brendan’s spacious piano, here opening the proceedings, gradually being enveloped in gentle layers of strings and as the flute timbres and Celtic lilt appear I was initially drawn to thoughts of Camel’s wonderful Harbour Of Tears (1996), and although those thoughts did reoccur fleetingly throughout, Northbound travels a more cinematic journey. Circa four minutes in and as a prelude to the first of the vocal sections, the tempo heightens, with the carefully chosen string sounds and choirs continuing to embellish. Tony’s dulcet voice, here perhaps reminiscent of Tim Bowness, immediately stamps a classy sheen to the already engrossing journey. The pastoral Homeward Bound is nicely augmented by layers of breathy backing vocals, before segueing into the next impressive vocal section and here the music is reminiscent of the excellent Jakko Jakszyk ‎– The Bruised Romantic Glee Club (2006). Just passed the halfway mark and the tranquillity of Northbound is briefly disturbed with the sounds of a barrel organ, disappearing as quickly as it arrived, replaced, again briefly, by some effortlessly floating flute akin to Jade Warrior. In turn as the flute fades the rippling 12 string guitar takes us into pastoral Genesis territory, albeit densely arranged with layers of delicate background vocals. And for fear of repeating myself the Northbound journey continues with numerous delightful musical moments, notably the Nick Magnus arrangement on Three Rivers (Reprise) which closes the track as is started with a recapping of the opening theme. Now if this album were on vinyl we would now be flipping it over to see what Side B might reveal – and so what of the remaining tracks? The Northlands Rhapsody would have sat very comfortably within the Northbound suite, a wonderful orchestrated piece of cinematic beauty. A Picture In Time also retains a strong film notion, albeit this time around, with a haunting backdrop, wonderfully captured by Carrie Melbourne’s wordless vocal melody. The middle section becomes increasingly more emotional as the track builds to a climax before once again descending into the tranquillity of the voice. The all too brief And The River Flows is a heartfelt tune reliant on Brendan’s ever present piano and Tony’s arching vocal. Simple, but perhaps not so simple? Now not an album you might envisage as having a single option, however the lazy A Rainy Day On Dean Street could be it. A classy track that brings another North Easterner to mind and I feel sure Sting would have been fairly pleased to have written this song, especially in light of his recent homage to his roots, The Last Ship. Tony Patterson croons, Doug Melbourne adds some nifty jazzy piano, and colourful Northern musician Fred Arlington produces the icing on the cake with his airy saxophone. Legacy is a moment in time captured for prosperity. Any heritage of North East would not be complete without reference to the steam train. One cue, the puffing beast enters and once again Messrs Patterson & Eyre display their ability to interpret. The pulse of the engine is mimicked by the metronomic piano. Again the subtle layers of voices work tremendously well as the piece expands and develops. With John Hackett on flute… sublime. I Dare To Dream is a perfect companion to A Rainy Day On Dean Street. Less emphasis on the jazzy notions but once again Tony Patterson displays his vocal prowess as the track grooves along and once again the befitting dreamy saxophone. The album’s most proggy moment comes from the Barclay James Harvest mould and So Long The Day, is Northland’s “power ballad”. Tony’s vocal delivery and phrasing reveals why he is so respected for his renditions of Peter Gabriel vocals, whereas the outro solo is taken up by a signature Steve Hackett melodic solo. 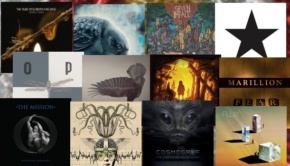 Side stepping slightly here and apologies for this comment during this review, but a minor gripe for me, is how much store is placed on having guest musicians appear on an album, presumably to add credibility and bolster sales. I’m not entirely sure this works? This said, it should be noted that Tony Patterson has a long history with the Hackett siblings and also Nick Magnus – and Tony’s contribution to the splendid n’monix album, from last year, being a prime example. So here it seems appropriate that he has called in these players. Whilst on the subject, kudos to those unnamed musicians who have contributed and greatly added to this album. As mentioned at the beginning of this review Northlands is an album that struck the right chord from the very outset. I’ve not tired from listening to this release and each time I have returned to it, it has revealed greater depths. An engaging album that is full of beauty and charm. At the end of 2012 Tony Patterson and Brendan Eyre met to discuss a project focussing on their native North East of England. That project became the Northlands album we now have before us. 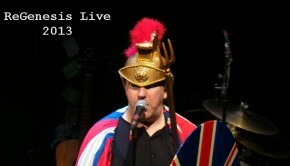 Tony Patterson is the singer with Genesis tribute act Re-Genesis, but thankfully for the most part here he keeps the Garbrielisms at bay and has a dreamy and beguiling voice all his own. The exception is So Long The Day where he sounds more like Mr G than the man himself in places. Brendan Eyre is a well-respected musician in the UK prog community, perhaps best known for his work with Riversea and Nick Magnus, who is one of the long list of guest musicians on this album. It is always helpful for the reader to have a reviewer make comparisons if he or she has not heard a particular band or album, and a handy if glib example is that from track three onwards Northlands comes over a soundtrack to a dream, a kind of precursor to the more menacing and, yes, nightmarish epic sweeps of Gazpacho’s grandiose constructs. Northlands is The Hobbit to Gazpacho’s Demon’s Lord of the Rings, if you will. You will note I say “from track three”, and that is because despite playing it many times the lengthy album curtain-raiser Northbound is just not doing anything for me. Any piece of music over ten minutes long has to have something in there that makes the listener want to go back again, be it a repeated refrain, or a commanding theme, or that the lyrics tell an interesting and engaging story, or that the music is constantly developing. It does not have to be complex, for in the progwelt that can be as much for its own sake as anything else in a Dream Theater soulless “look at us, aren’t we clever” fashion. Unfortunately Northbound has little of the above to commend it. It’s entirely inoffensive, obviously well played, but from a musical perspective it promises much without really ever delivering. A series of tantalising introductions that never quite resolve into anything substantial, Northbound consists of compositional sections containing simple melodies and chord structures in barely changing tempos that meander on pleasantly enough but to little effect. From the section I Recall onwards, a very Genesis-like nostalgic song remembering the dreaming shores, I find myself losing interest. The section that follows, The Crossing, is typical of the whole track in that it takes way too long to go hardly anywhere at all. Again, it is pleasant enough, perhaps too much so, for if you heard it in a shopping mall you wouldn’t be overly surprised. I can only conclude that Northbound is a classic case of a prog track being long for the sake of it. Had it been edited by at least half then the many piano flourishes, occasional guitar interludes and general atmospherics would have worked far better. The story in the lyrics, of a man returning to his homeland after a long time away, and all the trials and tribulations that entails takes up only a relatively small part of the piece, and could have been developed further. This leaves the instrumental sections to hold my interest on their own merits, which I’m afraid they don’t, for me at least, suffering as they do from their barely changing dynamics. Following Northbound is The Northlands Rhapsody that has more of interest in its less than 150 seconds than much of the preceding 24 minutes. 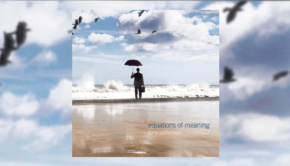 Opening with a languorous flugelhorn followed by flute in the round, a brief sunrise of music heralds what is to come, for the rest of the album is a delightful stroll through melancholy tinged with regret, ending with hope of redemption. Cinematic vistas created in grand instrumental sweeps give glimpses of sepia-tinged times past, then a river flows as metaphor for a journey through time, and suddenly we arrive in the capital. Anyone who knows Dean Street and has seen it on a rainy day will be transported back to its slightly different beat, all lazily world weary and finger-poppin’ with a touch of the devil-may-care. A Rainy Day On Dean Street is the best song on the album simply because it lifts the album towards a slightly animated version of introspection, and sounds more rounded, human even, as a result. Quite evocative, it has to be said. It seems to me that the true sound of Patterson & Eyre lay not with the somewhat laboured prog stylings of Northbound, but in a melding of an emotive Blue Nile-styled post-rock infused with a very light-touch jazzy sensibility and the occasional symphonic denouement. This shines through on the simple and rhythmically repetitive but this time effective Legacy, a tune that at a touch under five minutes is exactly as long as it needs to be, no more, no less. The only track I’m not too enamoured with, post-Northbound is the aforementioned So Long The Day where the gentle atmospherics established throughout the record are somewhat disturbed by a large dose of unnecessarily histrionic geetar squawking from Steve Hackett that is stylistically out of synch with the rest of the album, albeit and perhaps pointedly mixed fairly low in the soundstage. A case of getting a “name” guest in, regardless of whether his contribution really fits the project in hand, methinks. 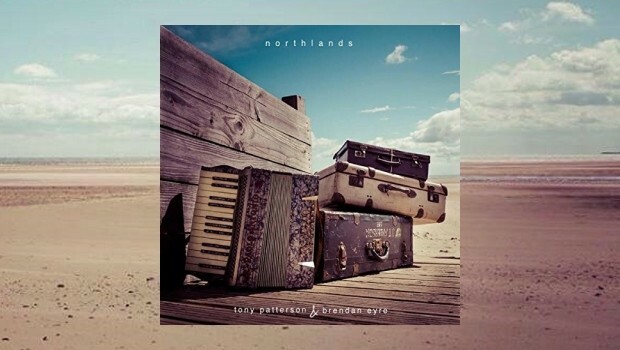 Northlands plays out on the lovely solo piano piece A Sense Of Place which fades away to the sound of seagulls and a gentle sea tide lapping the beach, as if to underline the essentially English nature of this record. Definitely an album of two halves, and suffice to say I’ve made a playlist with Northbound at the end where it seems to fit better. When they keep their songs to reasonable lengths Patterson & Eyre show that they are capable of creating some good mood music that goes beyond the morose “woe is me” of so much of modern prog of the heavier kind. Northlands is a decent album , but for me it does not live up to the vaunting praise I have read elsewhere, but you probably guessed that already.